As we did last year, it’s always great to revisit and highlight all the awesome work we did over the course of a year. A lot of the great progress we made last year sets us up with really strong groundwork, in both technical and collaborative aspects, for an equally (if not — and hopefully moreso!) rewarding 2016! 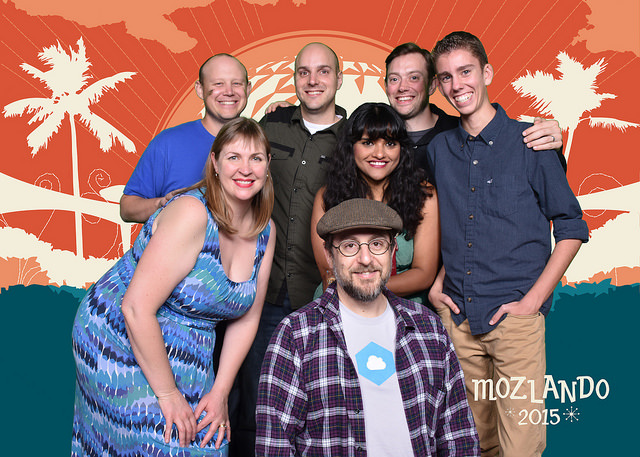 Pictured, above, from left to right (clockwise): Rebecca, Matt, Stephen, Krupa, Dave, Justin, and Bob. announced in June, but starting his contributions back in January, even, we welcomed Dave Hunt to the team, officially! working closely with WebOps on HTTP/2, we helped test early support for HTTP/2 in an upgrade to our Virtual Traffic Manager. we introduced and welcomed our shiny-new webqabot to our IRC channel!